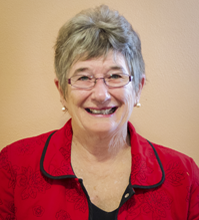 Linda Pettersen is a Licensed Clinical Social Worker (LCSW). Linda received her Master of Social Work with a specialty in psychiatric social work, from the University of California, Berkeley in 1966. Linda Pettersen primarily practices at our satellite location on Madison’s west side - 5701 Raymond Road. Linda founded the original Rebuilding-Divorce class in Madison in 1981 and taught Bruce Fisher’s model for 27 years with Dan Feaster, (he still offers this class at our Center). Linda is certified to administer the Prepare-Enrich Relationship Inventory: a tool utilized to strengthen a couple's relationship. Linda has also completed our specialized training to integrate one's own faith into the therapy process. For more information, please visit our Frequently Asked Questions page. Linda works with Couples, Adults (Ages 18+), and Senior Adults (Ages 60+), including individuals with disabilities. Linda enjoys spending time with her husband and two adult children living in the Madison area. Linda says her own form of therapy includes several support groups, relaxing with a good book, swimming, biking and going to the gym. She is an active member of a local congregation. Linda and her husband enjoy live classical music, and exploring the world through travel. They lived abroad for three years.